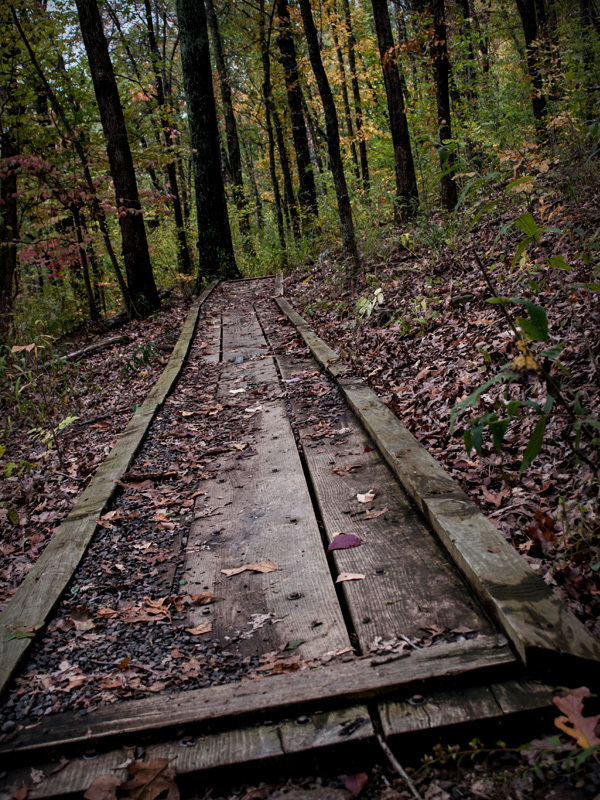 Greenleaf State Park is one of Oklahoma's original seven state parks and one of its most scenic and family-oriented. The lake cabins and other facilities at Greenleaf State Park were built in the 1930s by the CCC, WPA, and German prisoners-of-war. The original buildings, constructed of native stone, remain a lasting and beautiful tribute to those who built them. The park has 14 cabins with bathroom, kitchen, heat & air, dishes, and linens. The cabins are 350 square feet in size. The park also has the "Cabin on the Lake," which is a handicapped accessible cabin designed to meet the challenges of the physically disabled. In addition, the park features RV Campgrounds (some with 50 amp service), tent campsites, community building, pavilion, enclosed shelter, seasonal grill, miniature golf, a laundry center and arcade room. Guests will also enjoy the swimming pool, swim beach, heated fishing dock, amphitheater, nature center, reunion center, playgrounds, hiking trails, horseshoes, volleyball court, and basketball courts. The park naturalist offers astronomy programs, campfire programs, party barge tours of Greenleaf Lake, and hay wagon rides as well as arts & crafts, storytelling, nature hikes, mountain biking, and more. No jet skis or wave runners are allowed on Greenleaf Lake. A children's pond has been stocked with rainbow trout for winter visitors. Children 16 and under can catch their limit of three fish per day with no charge and no permit required. The park also offers activities such as wildlife viewing, holiday events, swimming, camping, and boating on Lake Greenleaf. Such a beautiful park especially in the spring & fall !!! I really enjoy going to this park, whether staying in a cabin or tent camping. I have been going there for about 10 years off and on and find it a delightful place. I recommend it as a great option for a getaway experience. Directions: From I-40, Exit 287 (Gore/Webbers Falls), travel 12 miles following Hwy 100 to Hwy 10, then Hwy 10 N to park.